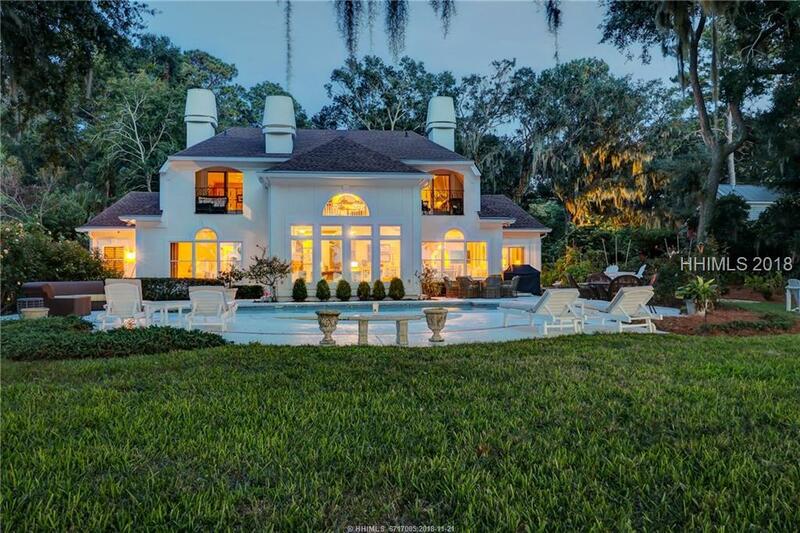 This sound front Spanish Wells home exudes charm & welcomes you with its beautiful Low Country/French Provincial style & its warm & stunning interior with direct water (and sunset) views from every room. Situated on over an acre, this updated home boasts a chef’s kitchen, hardwood, 2 fireplaces, 1st floor master, gorgeous master bath, 2 en-suite large guest BR’s on 2nd floor, brand new 3-car garage & spacious in-law suite, a brand new private dock & the most lovely expansive yard in all of Spanish Wells, perfect for entertaining with large pool deck & lawn area & rose & vegetable gardens galore. A standout in a coveted neighborhood.